Happy Monday! No specific theme this week…just some cool books that you should know about! I was in Barnes & Noble on Sunday to grade some essays and support a local book fair, so I went to the graphic novel section to get a new book, and MIS(H)ADRA just popped out at me: dark cover with strange shapes, slightly large in physical size, and a quote on the cover from my eventual friend Bryan Lee O’Malley. Knowing nothing else, I bought the book. Wow, am I glad I picked up this gem! 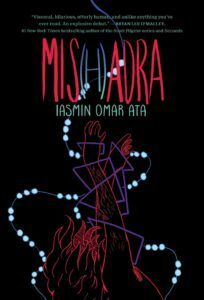 About, Issac, a college-aged student that is suffering from epilepsy come on late in his life, MIS(H)ADRA opens the door to conversations about chronic illness and the way it is perceived by those that suffer from illness and those around it. When someone looks normal, everyone just assumes that they are normal. Things can never be that bad if one LOOKS healthy, right? I have people in my life with chronic illness, and believe me, healthy people just don’t get it. But this book does a stunning job of allowing readers to experience the anxiety, pressure, and thought processes of those struggling with invisible illnesses. Author Iasmin Omar Ata, having his own experiences with epilepsy, uses line and color to indicate how Issac is feeling throughout the book. When he is mostly fine, the pages and panels are mostly clean with white backgrounds, but when he is feeling a seizure coming on or becoming panicked, the pages go dark and strange lines and images of daggers take over the pages until things become settled for Issac. Issac’s condition does cause some waves with people in his life, especially his father who has a hard time believing how serious Issac’s condition can be; however, Issac learns that there are people out there that he can confide in and lean on when necessary. Issac let’s us know that it’s OK to reach out for help when you need it. And while the book does not end with a parade of puppies and rainbows, I think it’s safe to say that Issac is much happier at the end of the book than at the start. 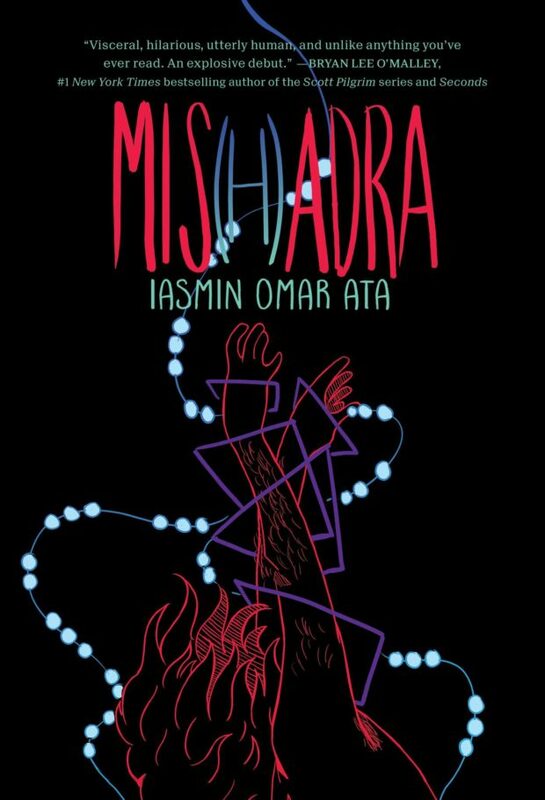 The truth of this book can be hard to witness, but Iasmin Omar Ata gives it to us in ways that we can handle. This is an important book. I know at least three people in my life that I will recommend it to simply because of the things they have gone through, but not just that; it’s good to use books like this to build empathy in readers. I would not give this book to younger students because of the language (some F-Bombs), but older students can for sure handle this book, and I would give it to a younger niece or nephew is applicable. It’s valuable to know and learn about the struggles of others. Keep this one on your shelf. You will lend it out.